From the very first line, your book has to hook an editor, agent or reader. We all know what it’s like; a cover catches our eye at our local bookstore, and we pick it up. The first thing we do is read the back cover blurb, and the next thing? We read the first page! Some might skip to the middle for a quick look, but research suggests it’s that first page that decides whether we’re going to buy the book or not. When it comes to sending your manuscript to an editor or agent, you might only get the first page to impress them. These literary professionals are being sent hundreds of queries every single month (or week). They don’t have time to keep reading to see if your story gets better or hooks them by page 5, so that first page has to shine. And if they keep reading? You better have a great first chapter to match that amazing first page! 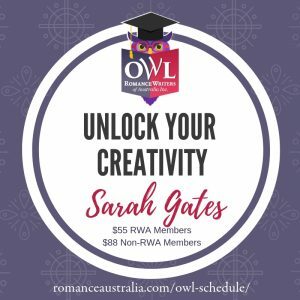 In this workshop, we’re going to focus on starting your novel in the right place, whether you’re starting a new story or revising one you’ve already written. 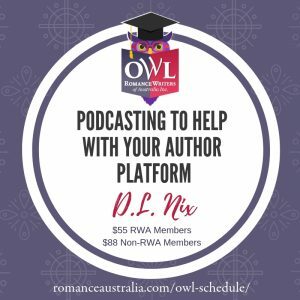 We’ll talk about key points to consider and where to start, and then we’ll work together to make sure your first chapter is ready to send to an editor or agent, or to enter in a contest. My goal is for every participant to finish the course with a first chapter to be proud of. A published novel has been through many rounds of editing, and I think that’s something many unpublished novelists forget. As a published author, I receive constant edits/rewrites/suggestions, and sometimes it’s about having a second pair of eyes looking over your work. For the month of April, that person will be me! I’ve had a fantastic time hosting another OWL this month, and one of the standout moments for me was the live chat function. I invited the participants to join me for a live chat in the first week, to ask me anything writing/publishing related, and it was fantastic! We decided to continue this for all four weeks of the course, and I’ll be doing that with this course too. Every Thursday night we have a live hour scheduled, because I remember how many questions I had in my pre-published years, and I’m open to answering anything & everything! So join me for a deep edit of your first page and chapter. Through hand outs, short videos and critiques, you’ll finish the workshop with a first chapter to be proud of! From starting your story in the right place to making your trope and/or conflict work in a unique way for your characters, I want to make YOU stand out from the crowd! Amazon Charts bestselling author Soraya M. Lane graduated with a law degree before realising that law wasn’t the career for her and that her future was in writing. She is the author of historical women’s fiction and contemporary romance for Lake Union and St. Martins Press, and her most recent historical novel, Hearts of Resistance, was an Amazon #1 bestseller. Soraya lives on a small farm in her native New Zealand with her husband, their two young sons and an ever-growing collection of four-legged friends. When she’s not writing, she loves to be outside playing make-believe with her children or snuggled up inside reading. Find out more about Soraya and her writing at www.sorayalane.com.